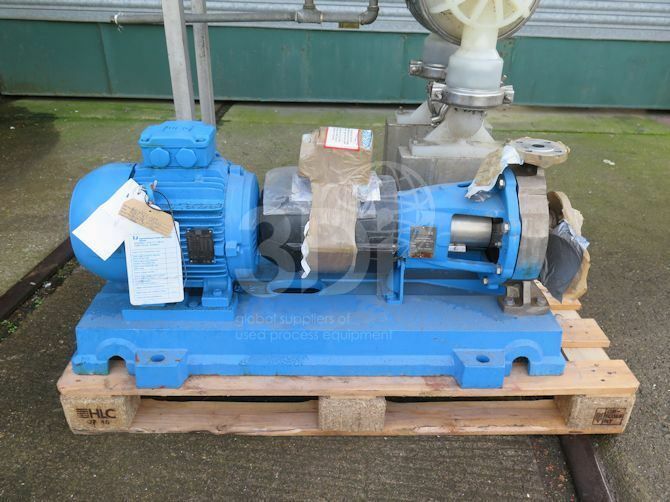 Unused 10.21m3/hr Centrifugal Pump, manufactured by Ingersoll-Dresser Pumps (Flowserve), 2001, Type 40-25CPX200, Serial No 416698-0010-01. Material of construction 316L stainless steel Duplex. 59m head. 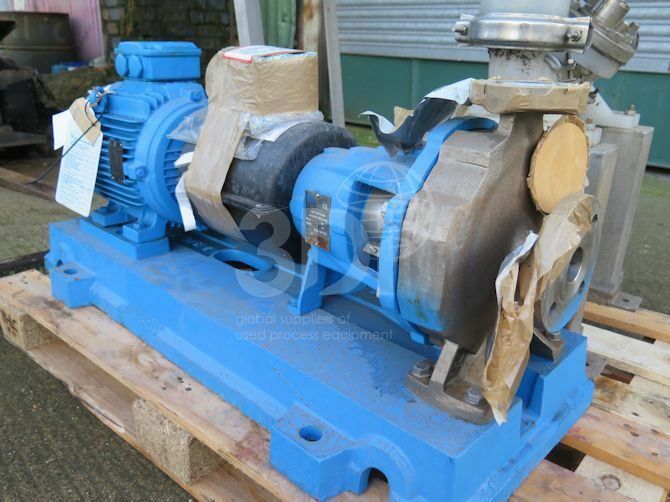 193mm impeller. Fitted with a 7.5kw WEG electric motor (3ph, 50hz, 380v, 2910rpm).